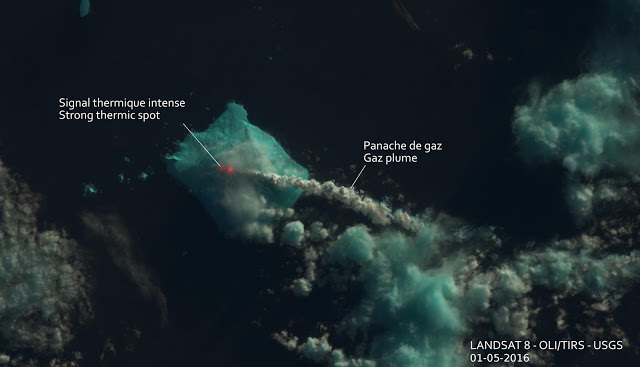 Since late April, a thermal hot spot could be detected originating the volcano's summit, and clear-weather views showed a significant plume of gas and steam, possibly containing volcanic ash, drifting from the volcano. The volcano's last known activity was in 1956. However, without closer observation is difficult to know what type of activity is going on.